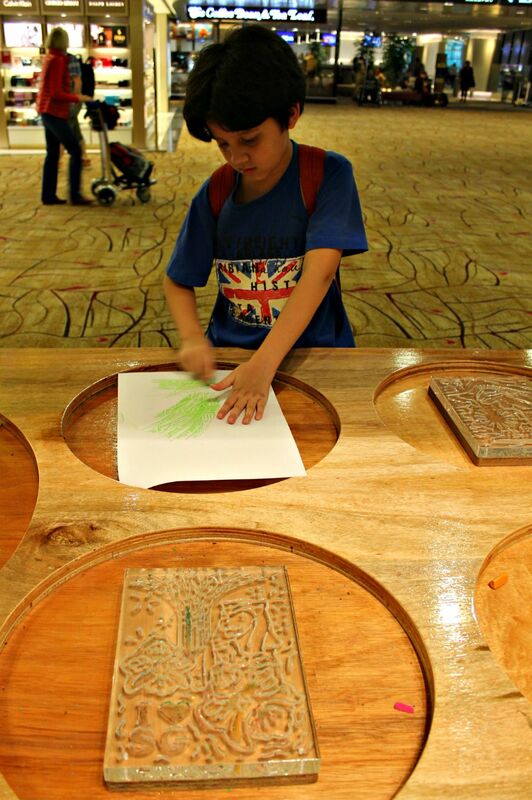 Changi Airport is the happiest place on earth. 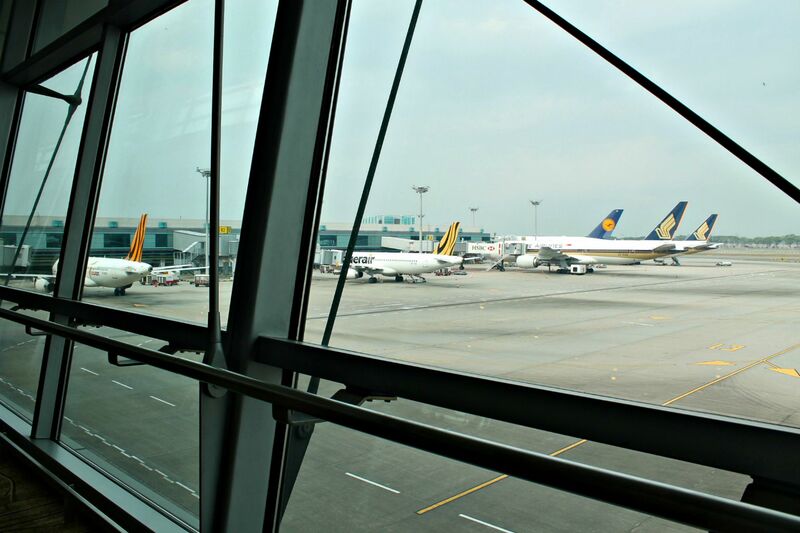 At least for us who often had to spend hours waiting for boarding (and yes, waiting has never been a fun thing). 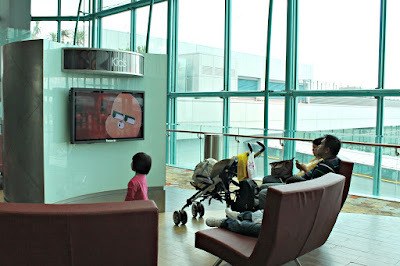 But this international airport, well-known for its facilities on both transit and departure/arrival area makes transit more than just fun, it’s educational! 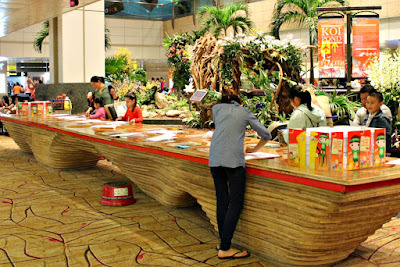 So, when our recent flight to Jakarta got delayed for over than 2 hours, we’re more than glad to be patient. 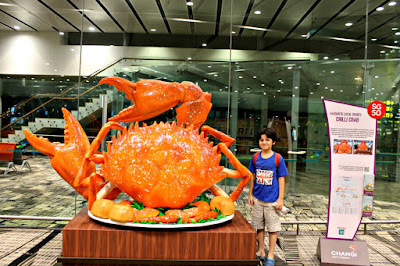 There’s something for everyone at Changi Airport Singapore. 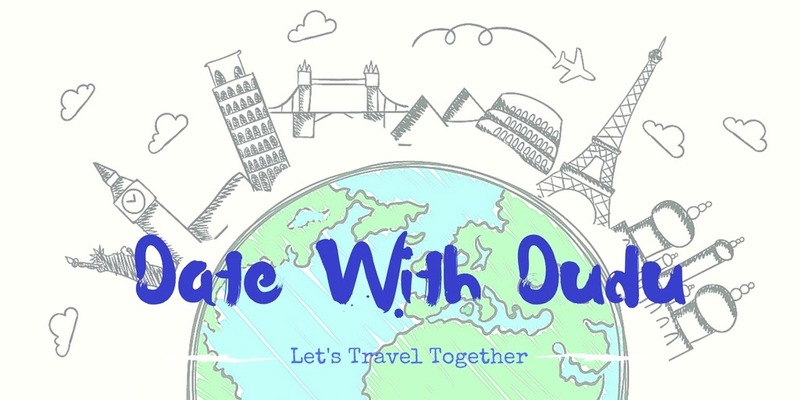 Be it dining, shopping, movie, playground, even a walk-in a-park kind of thing. Most of them are free (except dining and shopping) so leave your worry behind. 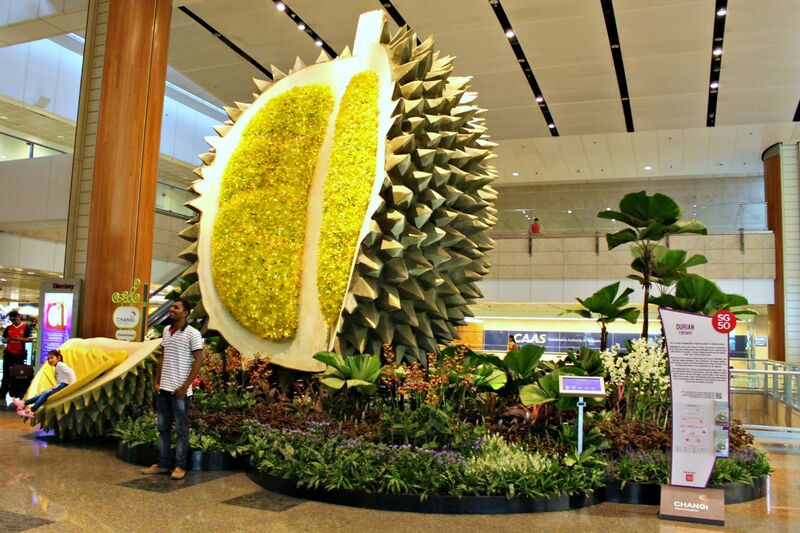 If you have extra hours in Singapore, checked your luggage in and have fun. Much better than dragging your suitcase around town. Once you’re in the transit area (the ones after immigration), scan your boarding pass and see how much time you have left before boarding and plan ahead. 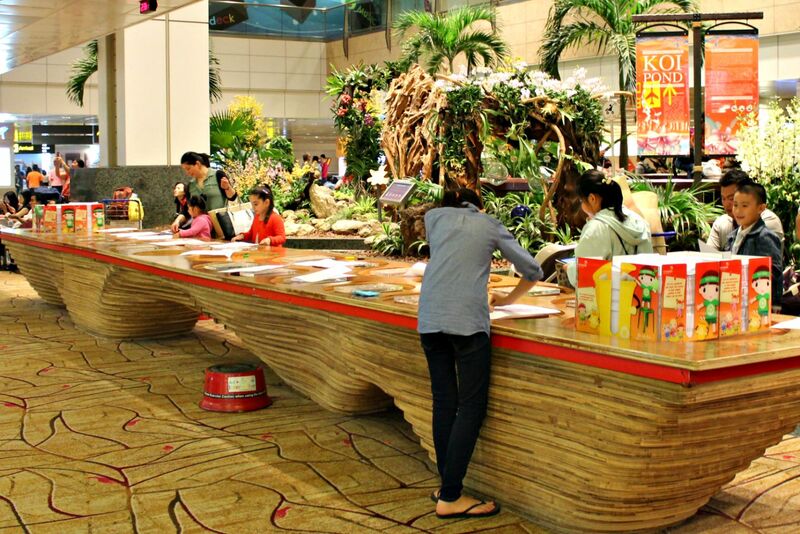 Here are the list of our favorite things to do at Changi Airport. I would say this is uniquely Changi because it’s the first thing that comes up to my mind when someone mentioned the airport. It’s Andrew’s favorite too. He used to print every picture and insisted on bringing home the papers. 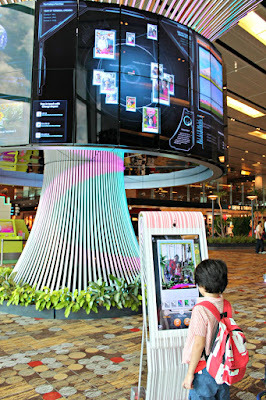 This is also the first thing we do once we reached Changi because somehow it releases the stress. Probably have the same effect as coloring. No wonder the station is always crowded with both kids and adults. 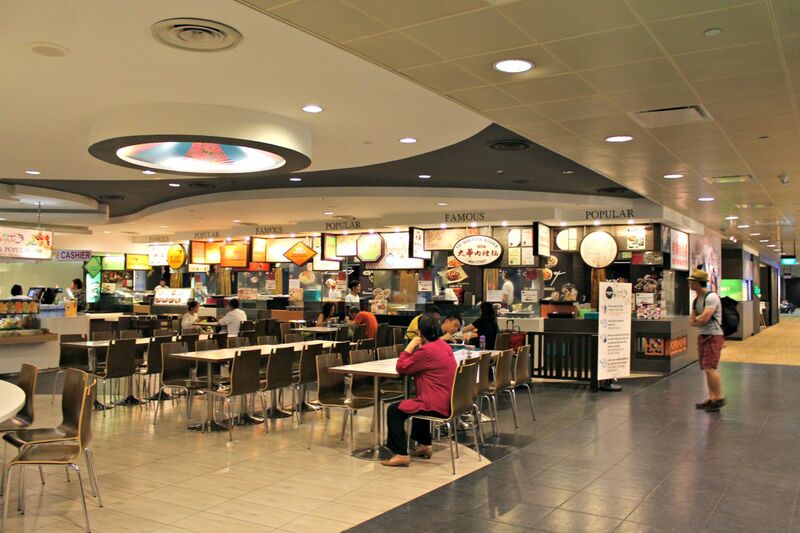 Aside from the one in Terminal 2, there are several other stations spread all over the airport. 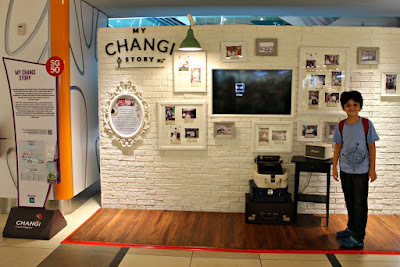 The blocks are no longer wooden now (they changed to hard plastic) and the pictures are updated to accommodate the latest icons of Singapore. Apparently this side of Changi has changed for the better. Last time we were on this floor, we only found a hotel. 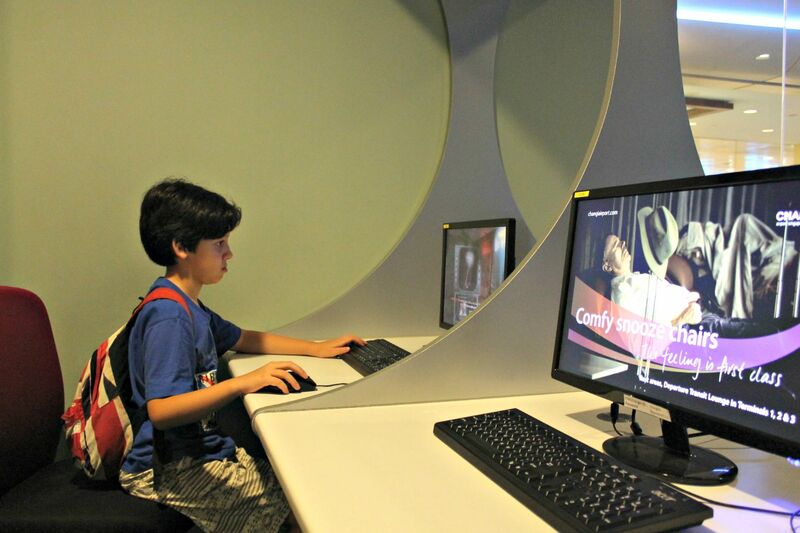 For gaming freak like Andrew, this place is heavenly. 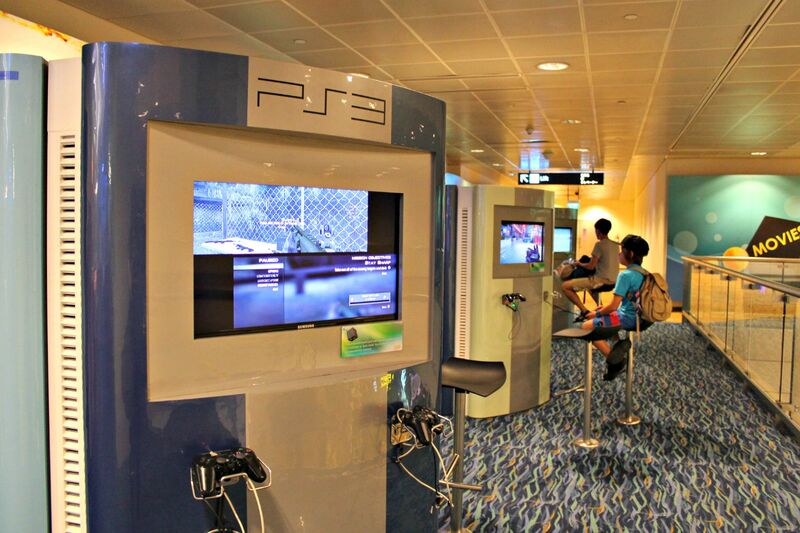 There are PS3 with different games from Assassin’s Creed, Naruto and Street Fighter to racing and shooting games. Once he’s bored, we’re moving to the computer games with Call of Duty, Prince of Persia and FIFA on the selection menu. 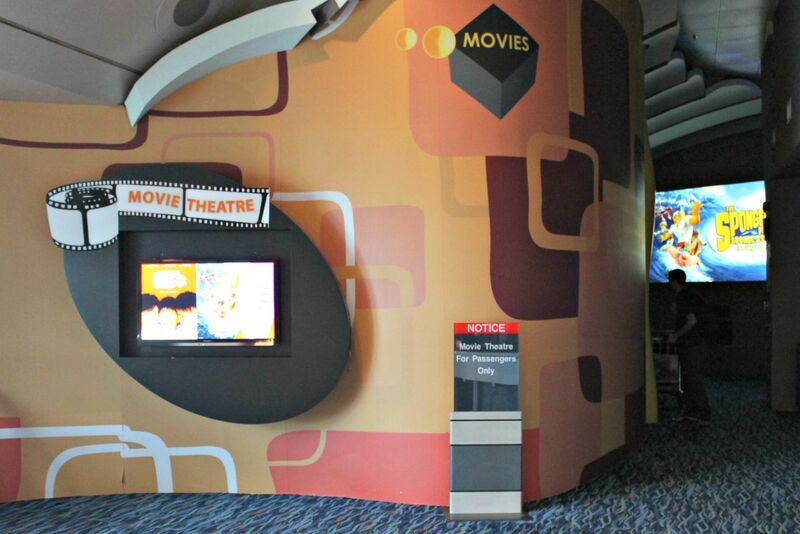 If you want less “adrenaline rush”, sit down and enjoy the movie at the theater which aired kids’ favorites like Spongebob. “I don’t mind staying all day for this, Mom." One thing I love the most about Changi Airport is the gardens. Arriving a day earlier than Andrew, I spent a couple hours exploring the parks. 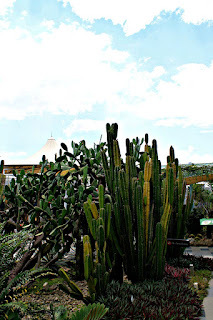 Terminal 1 has Cactus Garden which is a pleasant surprise because of the Saguaro standing tall against the blue sky. The last time we saw them was back in America, so it's nice to see them on the rooftop of an airport. 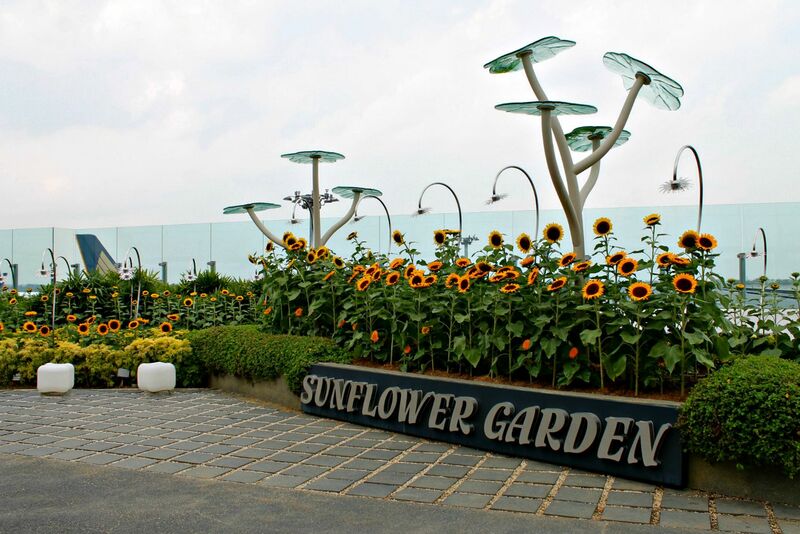 Terminal 2 is home to sunflower Garden, which is right behind the Entertainment Deck and Koi Pond. 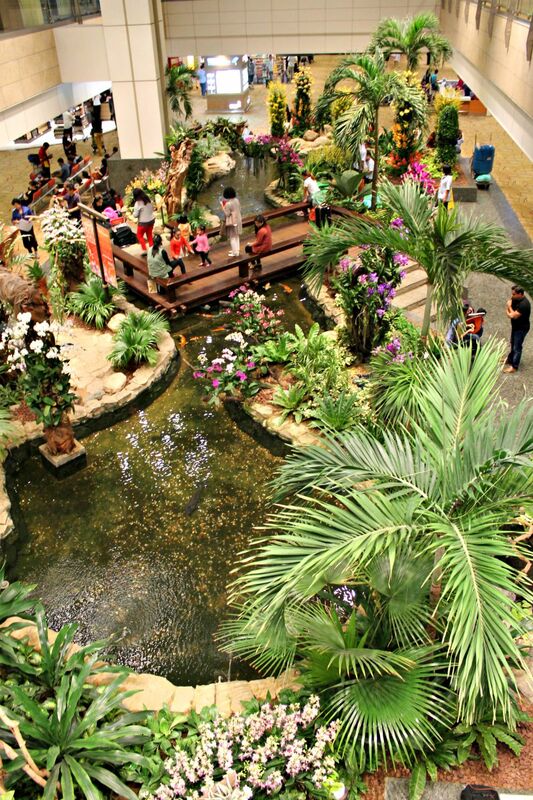 In Terminal 3, there's a butterfly garden. We've yet to visit this one. This is on of our favorite things to do just because we rarely got a chance to take selfie. So anything that can take our picture, plus uploading it to social media right away is something we love to do. 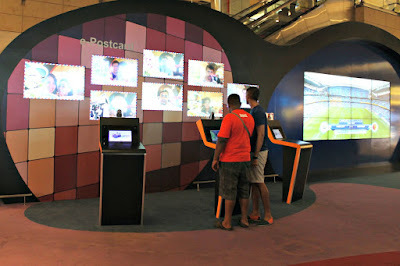 At T2 there's something similar to this where you can create a postcard. Give it a try, it only takes you minutes and you'll get a lifetime memory. 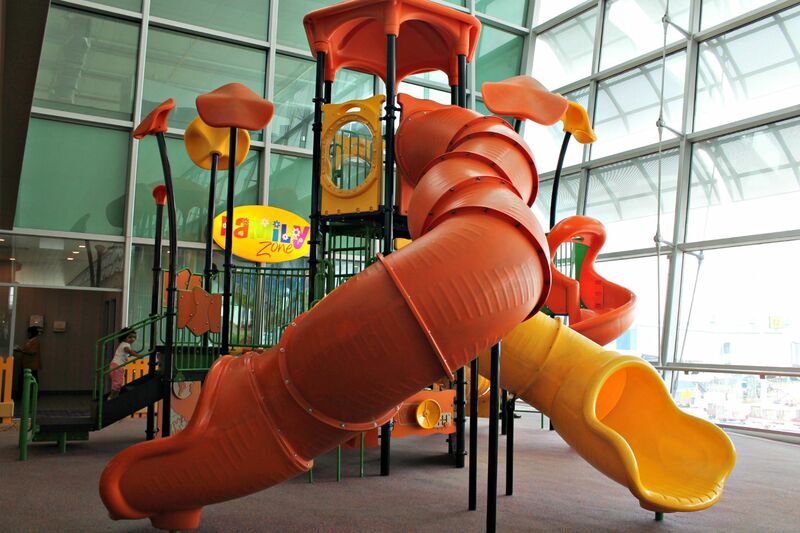 Fun at Changi doesn't stop at the regular facilities available all year round. 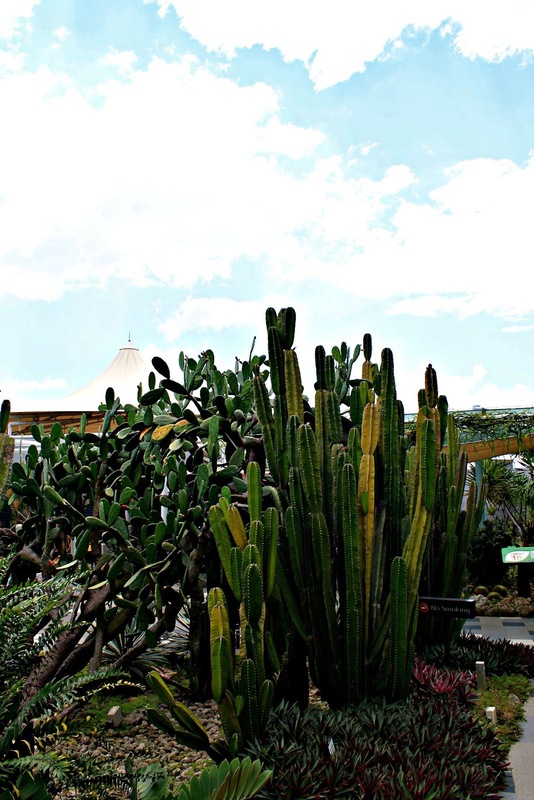 Check out the seasonal activities too. We visited during the last week of SG50 celebration and was excited about the different displays representing unique things of Singapore. 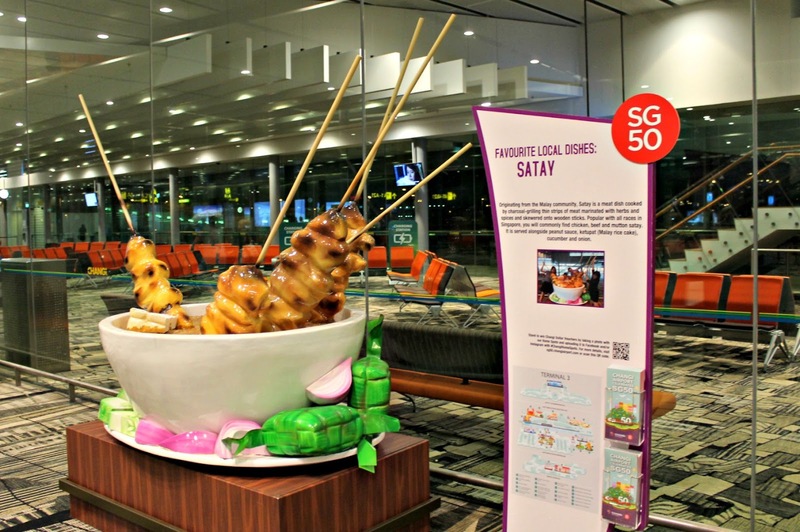 Go photo hunting with Durian, Satay, Chili Crab as well as Changi Story display. One thing I don’t really do is shopping. Just because I don’t really shop in general. 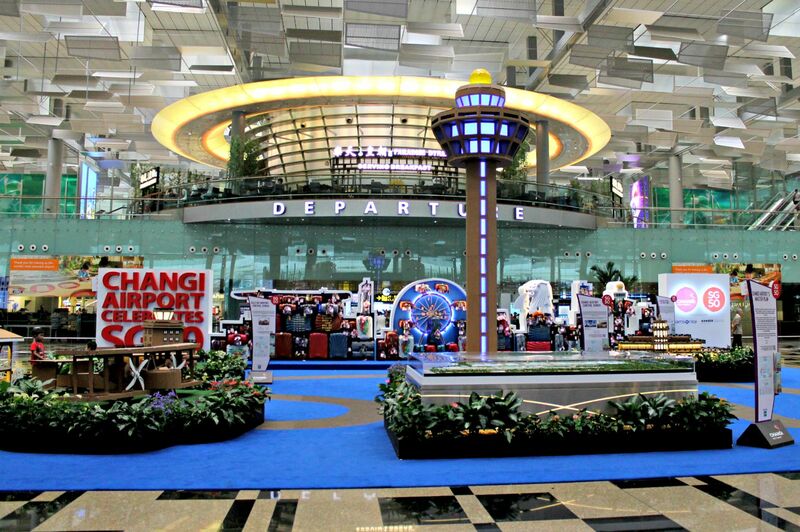 But if you do love shopping, Changi has more selections than most mall you've ever known. Even better, if you're here for transit, you'll get shopping voucher to spend while you're waiting for boarding your next flight. Wifi and charger are everywhere. Get your code by scanning your passport. One passport for one gagdet. You need to re-sign in everytime you're moving between terminals. But you can always re-scan your passport for a new code at a new terminal. There's no limit on that. Otherwise you can use internet on one of the computers available on every corner.